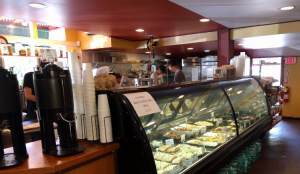 We receive a lot of positive feedback from our guests, including favorite breakfast spots they’ve discovered. 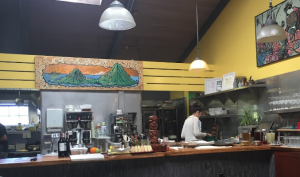 We’d like to share some of the awesome breakfast options for those seeking a hot cup of coffee and tasty breakfast food that you can explore after your next Haleakalā Sunrise experience. 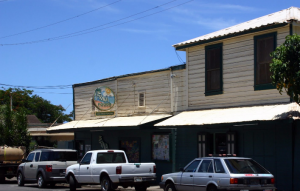 These selected breakfast spots are in and around Makawao and Paia towns here on Maui. 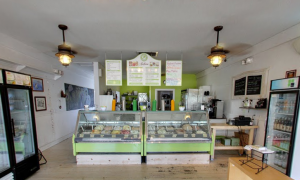 This little gem is a crowd favorite for tasty treats that are gluten free and healthy barista creations with wifi and a big smile early in the morning. Open Monday-Saturday: 6am-5pm and Sunday: 7am – 4pm. 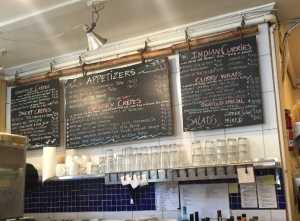 This is a little local-style express breakfast place with limited seating, friendly staff and a host of local regular characters that make the place a warm down-to-earth must visit. Open Daily 7:30AM -11:30am, Sundays 8:30-11:30am. 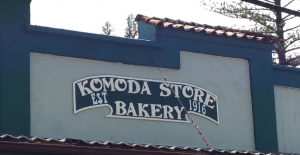 Been around since the early 1900s and has some not so consistent hours, but the donuts on a stick are world renown! Closed Wednesday and Sunday, but open 7am to 4pm except Saturday they’re open till 2pm. Open later than the others we’ve presented here, but you never know when the need for coffee will present itself. If you happen to be in Makawao around 9am add this option to your list! They’re closed Mondays but open for breakfast Tuesday – Saturday: 9:00am – 11:00am, and Sunday Brunch: 9:00am – 2ish (don’t forget, they’re closed Mondays). 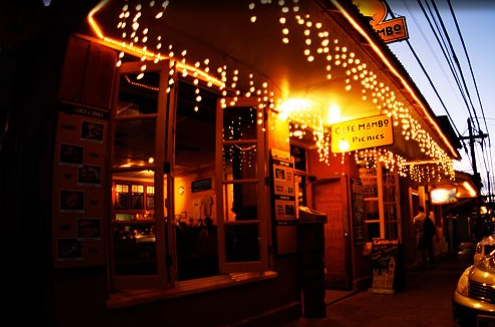 This is a cool little spot with an amazing assortment of awesome packed into a little store. Hot or cold barista-made or self-serve coffee is always fresh and hot—early! 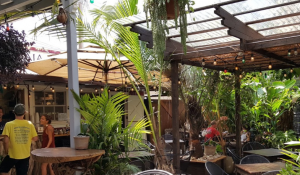 Indoor and outdoor seating available. This is a local favorite for crepes and wraps for breakfast. Open 8.30am to 8.30pm every day for breakfast lunch and dinner. Opens about 8am daily, this quaint spot has some unique choices like the Quinoa Bowl and Hippie Quesadilla that you are sure to enjoy. Took some time for it to sink in that a Gelato place would be open early. But this place rocks! 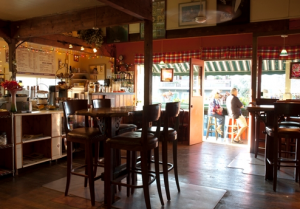 You can walk in, pick up a picnic to go and sneak through the back door into Paia Bay Coffee (next listing). They’re open every day 7am to 10pm. 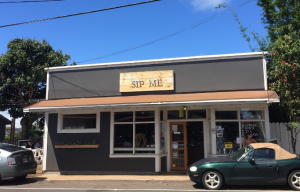 Hidden behind Paia Gelato, this is a truly local spot that’s unique in almost every way. 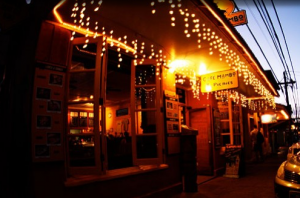 It is the first organically created coffee place in Paia (as far as we know). Open every day 7am to 5:30pm. This place has history and it shows in a good way. A popular “road to Hana” stop that’s recommended often. If you want to grab some organic goodness you can visit Mana for rare finds starting at 8am. 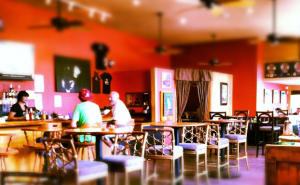 Please let us know if you have a favorite spot to get coffee and grinds early in the morning near Makawao or Paia towns. Thank you for such a fun day. We had the best time on your tour. Jacob was amazing. So relaxed and very knowledgeable about the island and volcano. If I was to rate all our adventures, I’d say that our time with Maui Sun Riders was my favorite. The tips Jacob gave us going up the volcano were much appreciated. The doughnuts on a stick were a nice treat. You gotta try the guava filled doughnuts. They were AMAZING. Thanks to the backpack with a lock, we were able to explore the little towns and purchase some local art. I like to support local businesses while traveling. Photo credit Google and the respective websites.